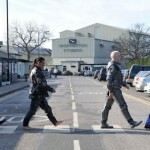 Home » Actors/Actresses » Comedy » Red Dwarf XI – The Boys are Back…hopefully in 2014! 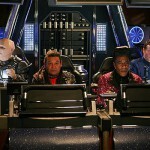 A new series of sci-fi sitcom Red Dwarf has been ordered by Dave, the Home of Witty Comedy Banter in the UK. Writer and series co-creator Doug Naylor is currently working on scripts for RDXI, with filming due to commence in 2014. The news has been widely expected for the past eleven months, following huge ratings in the UK for the sitcom’s 10th series, which was broadcast during October and November 2012 on Dave, the home of witty banter. 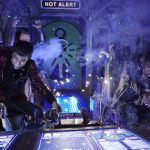 Robert Llewellyn, who has played the neurotic Series 4000 service mechanoid Kryten (full name Kryten 2X4B – 523P) since the sitcom’s third series, wrote on his blog Sunday: “We are officially making another series but we don’t know when. 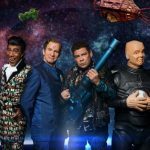 UKTV, the company behind Dave, who broadcast Red Dwarf X, want another series and we’d love to make one. It will be sometime in 2014, but I can’t be any more accurate that because we simply don’t know yet. 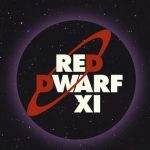 “As far as the main cast are concerned, Chris, Danny, Craig and myself are all very committed to making another series, Doug Naylor is working on it like a man possessed but beyond that it’s in the lap of the GELFS.” Hopefully, we’ll be seeing something along the lines of Kryten’s RDX message from back in 2010 posted in the not-to-distant further with news about RDXI. Fans of the series calling North Texas home might remember that KERA, the PBS affiliate in North Texas, was the first and only station in the U.S. to air the series back in July of this year. Those in attendance will no doubt remember Kryten’s message to fans of ‘The Small Rouge One’ in North Texas. Stay tuned to this space for word on RDXI when more information becomes available about taping and transmission dates, etc. This show is amazing just wish they would catch up with the twins part.. I watched the first season of Red Dwarf back in the ’80s, right after it came out in England on the PBS station in Philadelphia.